Freezing rain and high winds resulted in a power outage in my neck of the woods Monday. I love the sound of a low noise floor in the morning and I logged three new navigational beacons among the 15 I could hear during the power outage that I normally cannot hear otherwise. 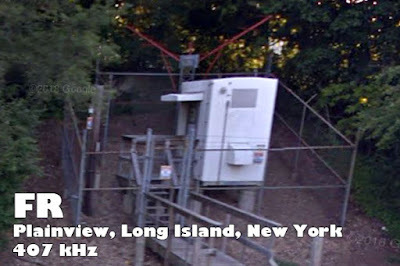 SW on 335 kHz transmitting 50 watts from Stewart Air National Guard Base, New York, 67 miles to the west. All four were received with an ELAD FDM-S2/SW2 receiver and an 80-meter inverted Vee antenna. Also added WPTK to the log on January 16 on 850 kHz transmitting 5kw from Raleigh, North Carolina, 512 miles to the southwest. And on January 17, I added CHUM on 1050 kHz transmitting 50,000 watts from Toronto, Ontario, 363 miles to the north-northwest. Both were received with an ICOM IC-R8600 receiver and an ICOM ICOM AH-7000 discone antenna.